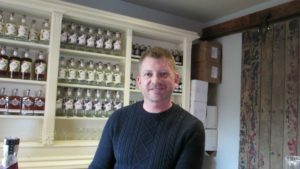 On a recent visit to Prince Edward County friends and I stopped in at Kinsip House of Fine Spirits. It’s at 66 Gilead Road in Bloomfield. If that address rings a bell, that’s because it used to house Gilead Distillery. 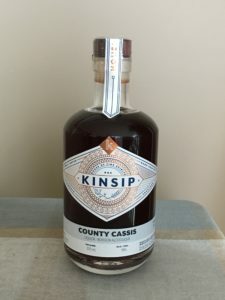 The distillery was re-named Kinsip when it was sold a couple years ago. I had been to the distillery in its previous incarnation and I wondered whether it had changed much. I’m happy to report the cozy tasting room is still in the same historic farm house. 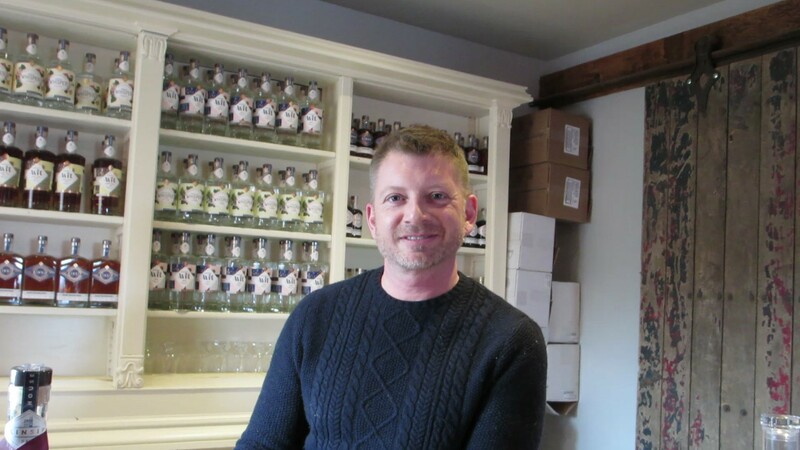 According to Jamie Moody, the retail manager, Kinsip has continued to use some of Gilead’s recipes, but it has also crafted new products. My friend Sandy was glad to hear it, as she was especially fond of the Gilead’s Duck Island Rum, which they still make. Jamie led through a quick tasting flight that included the Duck Island Rum, their Maple Whisky, and County Cassis. Sandy confirmed that Kinsip’s Duck Island Rum is as good as when it was made under the Gilead name. I was especially interested in trying their Maple Whisky to see how it compared to my favourite – Sortilège from Quebec. Kinsip’s Maple Whisky is quite a lot lighter on the maple than the Sortilèege. And then there was the County Cassis. We decided to try it based on Jamie’s description. Well, I’m so glad we did. We were all pretty blown away by it. Its a silky smooth, delicious sipper. Though Jamie had described the County Cassis it before we tried it – after tasting it, we all wanted to hear the description again. Jamie was kind enough to let me shoot a short video of him describing it. Click here to see the video. If you’re in the County and you like fine spirits, you owe it to yourself to stop in at Kinsip. They craft a variety of spirits, liquors, and bitters – there’s bound to be something to your liking.